Anthony Joshua completed his ring walk in silence after the Principality Stadium suffered a temporary power cut. But Joshua ensured normal service was resumed the instant the first bell rang as he stopped Carlos Takam in 10 rounds to make it 20 wins inside the distance. Joshua began patiently as he tried to establish his jab and utilise his superior reach. 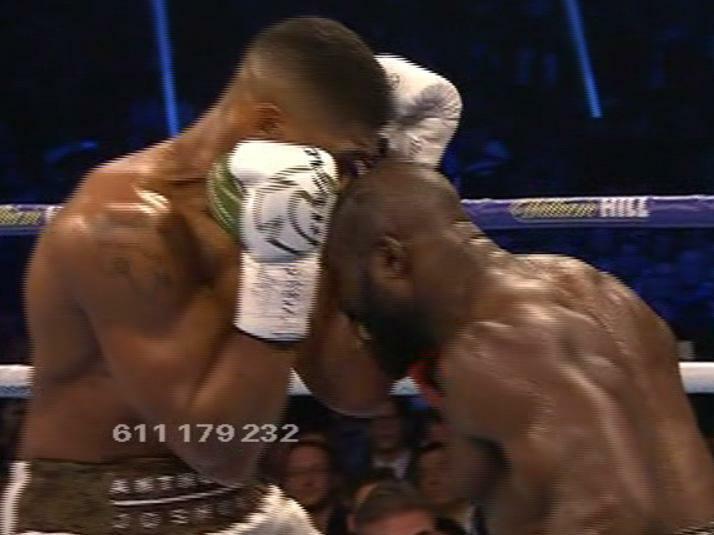 Takam’s main weapon appeared to be his head and he butted Joshua in the second to bust his nose. The bloodied Joshua replied to catch Takam with a right uppercut and then staggered him with a left hook. Anthony Joshua retained his two heavyweight title belts here last night but this was a far from convincing performance, with many in the Principality Stadium feeling referee Phil Edwards had acted prematurely in stopping obdurate opponent Carlos Takam in the tenth round. Joshua had thrown everything at the super-sub with the tank-like physique and granite chin, but he was beginning to tire when Edwards stepped in to bring the fight to a close, much to Takam’s fury. At the end of it all the young man who is fast becoming a superstar now has a record which reads: 20 fights, 20 stoppages. Joshua was comfortably ahead on the scorecards but last-minute stand-in Takam looked far from out of it. But with blood pouring from his eye, Edwards decided Joshua had done enough to earn the win - earning boos from the crowd. Anthony Joshua retained his IBF and WBA heavyweight titles when he stopped bloodied challenger Carlos Takam in the 10th round in Cardiff. 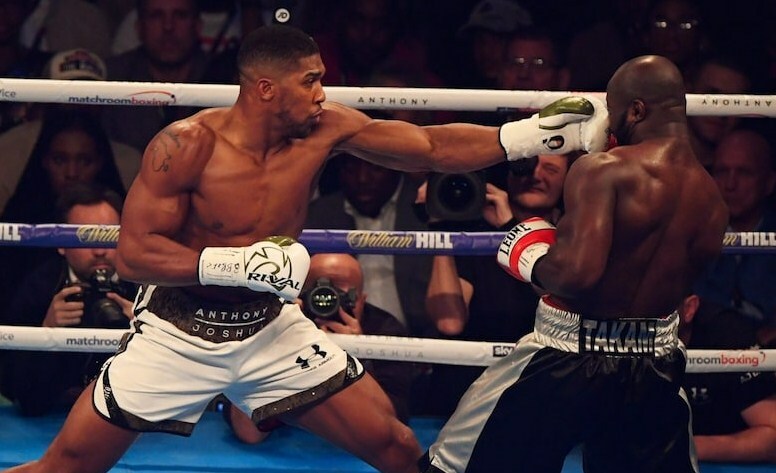 Anthony Joshua retained his two heavyweight title belts last night but it was a far from convincing performance, with many in the Principality Stadium feeling referee Phil Edwards had acted prematurely in stopping obdurate opponent Carlos Takam in the tenth round. British heavyweight suffered the injury after being headbutted by opponent during his fight at Cardiff. ANTHONY JOSHUA will have doctors fix his broken nose before aiming to clean up the heavyweight division in 2018. The fighter was bleeding heavily following a headbutt during his 10th-round stoppage of Carlos Takam in Cardiff.